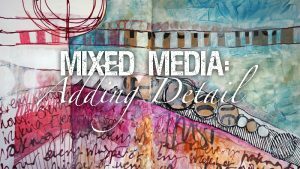 A layer of sgraffito is a brilliant way to add painterly visual texture, pattern, line or text to your paintings and mixed media work. Join Laura as she demonstrates using acrylics. 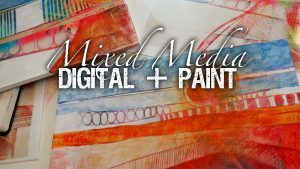 Painting techniques that you love on paper and canvas can often be replicated digitally, sometimes with even more creative potential! 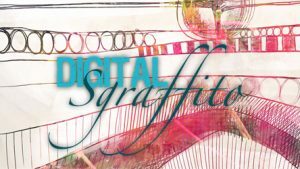 Sgraffito is a great example, join Laura to see how. 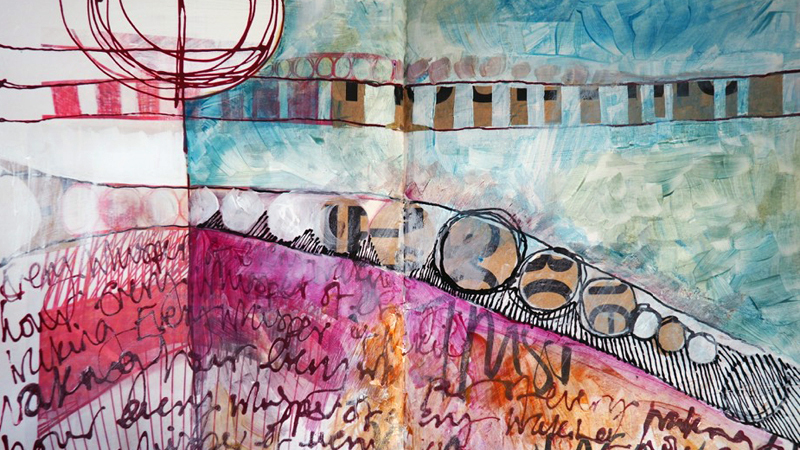 A layer of graphic detail using lettering and line can be the perfect way to complete your mixed media sketchbook page or painting. 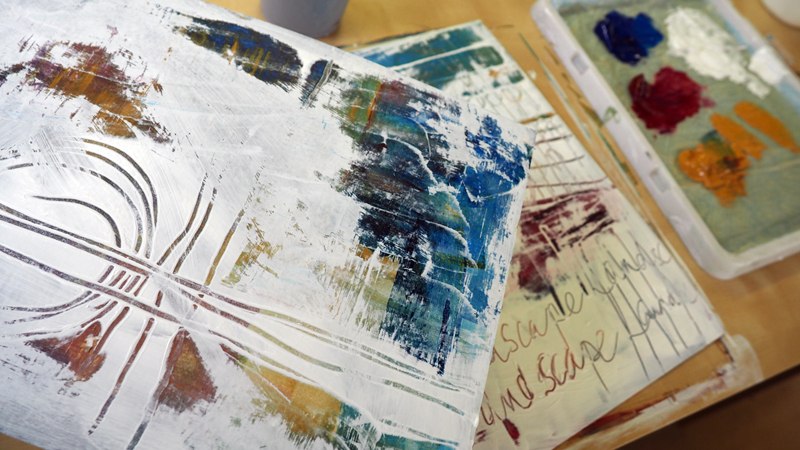 Join Laura to see how she’s using different methods including line painting with acrylic paint. 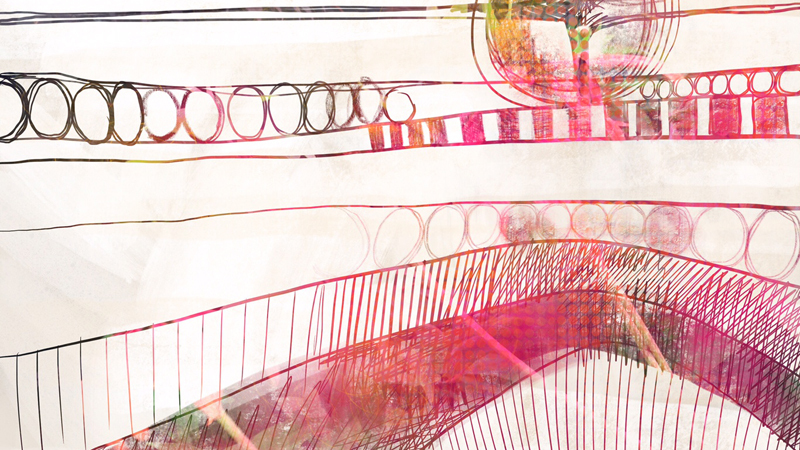 Take the work that you’ve done on your iPad and use it as the basis for a sketchbook page or painting. 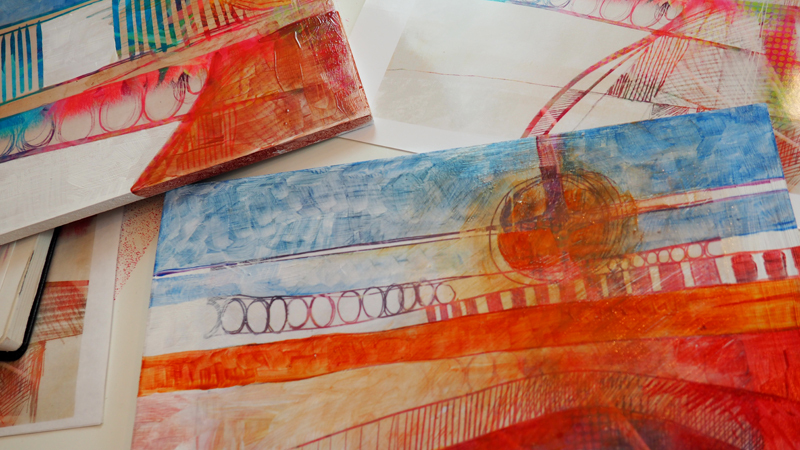 Laura will talk you through how to print onto a range of papers and show you how to add layers with acrylic paint, exploring opaque and transparent layers.